Tavo Tech team has just attended one of the most important events for the future of many startups – TechCrunch Disrupt conference. It has taken place in Berlin – a breeding ground for creative and enthusiastic people who want, can and will change the world with their revolutionary ideas. Disrupt Berlin can be described as a full immersion into the flow of startups. Not every day you can watch such a congestion of startups. Participants from more than 50 counties have come to experience this startup mania. The two days (Nov 29 – 30) in Berlin transformed into 48 hours of communication and search for new opportunities. The founders, startuppers, investors, tech leaders and speakers have gathered to discuss the ideas they have, the challenges they face, and to find the like-minded people that can help them in achieving their business goals. Disrupt Berlin 2018 can boast about an impressive lineup of speakers, panel discussions and conversations. The speakers on the Main Stage have raised important tech and business issues. We have enjoyed the powerful speeches of tech titans, successful founders and innovative investors like Lizzie Chapman (ZestMoney), Frank Salzgeber (European Space Agency) and Rafal Modrzewski (satellite company, ICEYE). Another great opportunity to learn and get the answers to your questions from the speakers were QA Sessions. This was the real chance for every Disrupt attendee without exception to engage in discussions with speaker and ask any question on any topic, including Blockchain and Fintech. The best part about QA Sessions is that they are not recorded and not broadcasted, making all the needed atmosphere for the deep-dive conversations with greatest minds in technology and entrepreneurship. During the QA Sessions, we were lucky to shed some light on our questions and have a friendly conversation with Jamie Burke (CEO and founder, Outlier Ventures), Kaidi Ruusalepp( CEO and founder, Funderbeam); Ricky Knox (CEO and co-founder, Tandem ) and Niko Bonatsos (managing director, General Catalyst). Due to the CrunchMatch, making right connections an spending priceless time efficiently for Disrupt attendees was super easy. CrunchMatch is a free business-matching service everyone has benefited from. Developers managed to find their potential employers. Founders connected with collaborators and investors. Everyone has got a valuable chance to make the connections. Tavo Tech team was also not roaming around. We have met a lot of startuppers, listened to their requirements and suggested our help in the development process and creation of their own dedicated team. 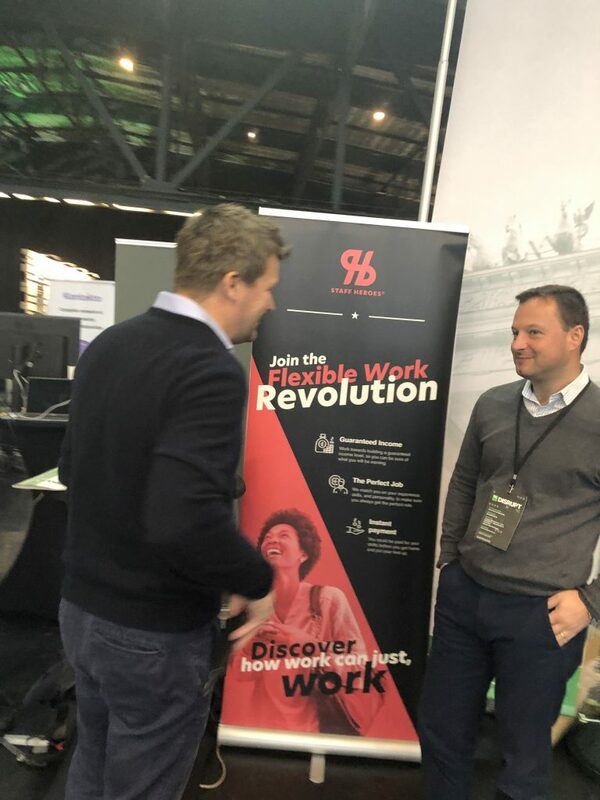 The very heart of Disrupt Berlin is Startup Alley, where hundreds of startups across all verticals are showcasing the latest technology platforms, products, and services. However, the highlight of the Startup Alley is TC Top Picks, the most promising startups representing the following tech categories: AI/Machine Learning, Blockchain, CRM/Enterprise, E-commerce, Healthtech/Biotech, Hardware, Robotics, IoT, Mobility and Gaming, Education and Fintech. Probably one of those startups will significantly change our daily life in the nearest future and remove some businesses that do not meet the demands of contemporary society. The most anticipated moment, the apogee of the Disrupt Berlin 2018 was the announcement of the winner in the startup competition. 13 best early-stage startups were competing on the stage in front of the strict judges: TechCrunch editors, VCs and past winners like Dropbox, Vurb, Yammer, and Mint, but the winner could be only one. In 2018, the winner of Startup Battlefield has become Legacy, a Swiss-based company. What they won is not only coveted Disrupt Cup but $50 000 and the attention of media and potential investors that can play a critical role in the further development of the project. Who knows? We must have witnessed the birth of a new successful business and an effective solution to one of the nowadays’ problems of humanity. Ready To Kick Start The New Projects! 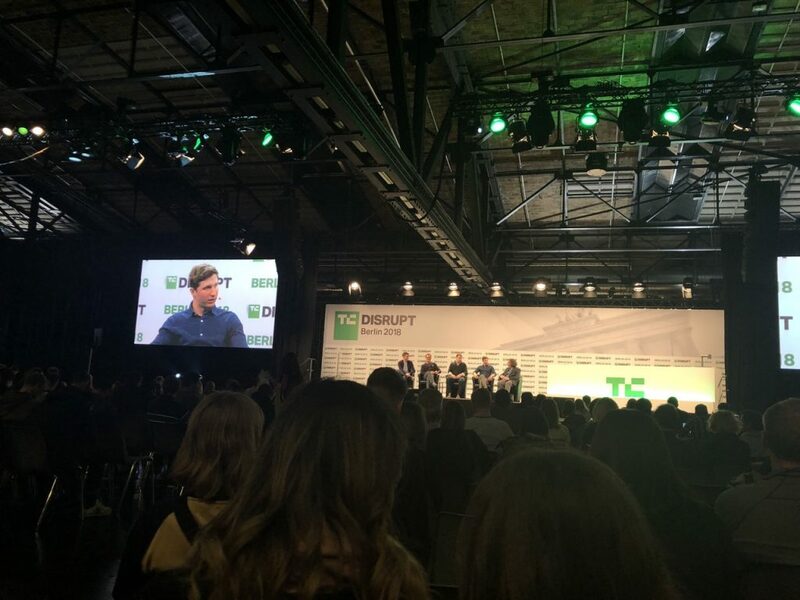 Disrupt Berlin 2018 was more than just a conference, more than just an opportunity to advertise your services and product. That was s a source of energy and inspiration. We have spoken to various people with absolutely different ideas. We shared with each other our philosophy and dreams, plans and ambitions. Disrupt Berlin has rebooted Tavo Tech, and now with a new vigor, we are ready to launch new exquisite solutions! This entry was posted in Conference and tagged Conference, Startups. Bookmark the permalink.